Have you ever looked at your cold and uninviting conservatory, shed or extension in winter and wished you could enjoy one of your favourite spaces all year round? Well, more and more of our customers are now turning their conservatories, sheds and cold extensions into an all year-round spaces thanks to a good quality wood burning or multi-fuel stove installed by a professional. We are now being told by most of these customers that they actually prefer these spaces in the winter now that they have a wood burning or multi-fuel stove to keep them cosy all year round. Murray and McGregor install somewhere in the region of 200 wood burning stoves and multifuel stoves per year at homes throughout Scotland. An increasing number of these installs are in conservatories, sheds or extensions. So, it goes without saying that we are being asked the question of how much it costs more frequently. A great question and this article will give you the factors that affect costs when installing a woodburning stove in a conservatory, shed or extension. Why install a woodburning stove in a conservatory, shed or extension? It’s easy to understand why you might want to install a woodburning or multi-fuel stove in your conservatory, shed or extension. These areas tend to be abandoned during the winter months as they have become cold and unfriendly places. Leaving us with distant memories of the long fruitful days spent in your own little piece of heaven. We have installed in conservatories and extensions three times in the last week and although they were all slightly different installs, they all adhere to the same range of pricing and have to be approached with the same common problems and considerations in mind. Main factors that affect the cost of installing a woodburning stove? We will assume that there isn’t an existing chimney in your conservatory, shed or extension, there some exceptions to this but they are few and far between. A general rule of thumb is, an installation into an existing chimney will be approximately £1000 cheaper than an installation where there is not an existing chimney. Where there is no chimney present, twin wall rigid flue is used to create your chimney. 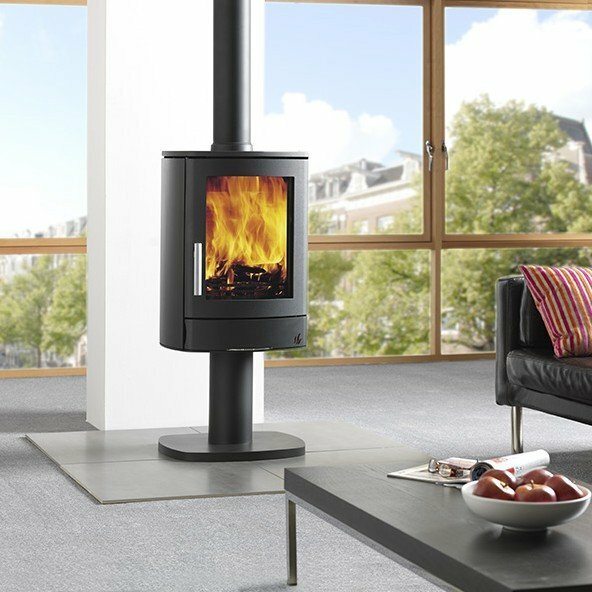 We use Schiedel ECO ICID twin wall flue at Murray and McGregor Stoves and Fireplaces which we consider to be the very best on the market, as it also carries a lifetime warranty. To give an example, our three installations this week in a conservatory, shed or extension have ranged between £3,300- £4,200 to supply and install by a HETAS registered installer using Schiedel ECO ICID twin wall flue and a 5-year workmanship warranty. This sort of pricing is consistent throughout the industry, although there are cheaper and more expensive examples around. Why is there such a wide range in these costs? I’m sure you will agree, it's important to discuss the reasons that these costs can vary. I mean we all want to be able to make an informed decision, right? Stove cost – Wood burning and multi-fuel stoves are just like any other product in the sense that there is cheap rubbish out there in the market place and there are overpriced products that have a ‘name’ whereby commanding considerable sums for a product that isn’t any better than another well designed and manufactured stove at half the price. For the purposes of this article let me rule both of these outliers out, with an explanation to why? Cheap stoves: These will cost anywhere between £300- £600. These tend to be made in China from 3mm-6mm welded steel or very this cast iron. They will last anywhere between 1-5 years before they warp and become unusable or unsafe. They tend to have very high distances to combustible making their application very limited and certainly not suitable for most conservatories, sheds or extensions without a lot of building work. Really expensive stoves: I would consider a really expensive stove to be anywhere between £2500-£6000. 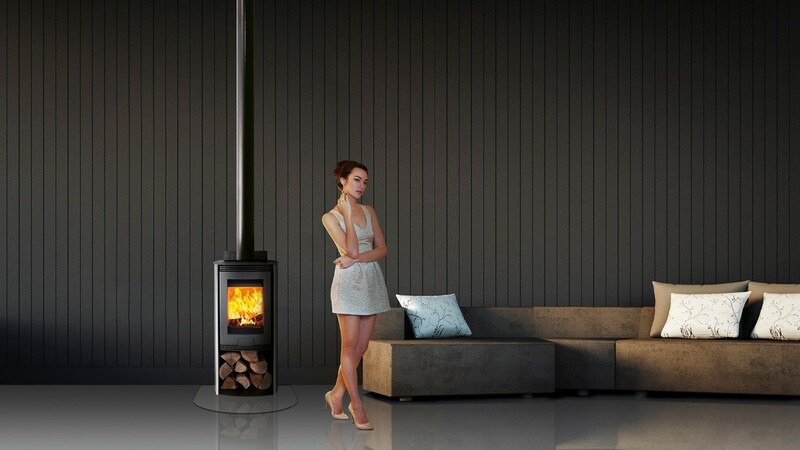 These are normally statement pieces or very design led, so in comparison to a stove that costs £900- £2000 there is normally no difference in terms of the quality of build or controllability of the stove. Of course, we do high end really expensive stoves, however we also understand that they are simply unattainable or not of interest to 80% of our customers. Country of Manufacture- The best quality stoves tend to be British or Scandinavian made. Construction material- The best quality stoves are made from 4-5mm steel on the body with 8-10mm on the top and bottom of the stove. This is normally made from rolled steel and a cast door to take many, many years of continuous use. Air-wash- Air-wash will be present on a good quality stove, using either cold or pre-warmed air to keep the glass clear and free from residue most of the time. A very well constructed stove will normally have a single control to vary the primary and secondary air. There are of course exceptions to this. Require a constructional hearth- A cheaper, lower quality stove will invariably need a constructional hearth beneath the stove. This is effectively a 125mm thick concrete or stone base. This is because it throws a lot of the heat down under the stove and could cause a fire if placed on a standard cosmetic hearth of 12-20mm thick. Length of warranty- A good woodburning stove should come with a 10-year warranty from the manufacturer. There are a couple of examples of very well built stoves that carry a 5 year warranty. However, this is now becoming less prevalent and if you buy from an accredited dealer most good stoves will come with 10 years warranty. When considering a woodburning stove for any situation, use your local showrooms to pick their brains. An ethical company will have no hesitation in telling you what stoves are good, well built and ready to last from their own vast experience. They really don’t want to sell you something that you are going to come back to complain about, so use their experience, you will be able to spot the rogues who just want to sell you a stove to make the most profit. Flue cost- As we are talking about twin wall flue here, on the assumption that there isn’t an existing chimney in your conservatory, shed or extension. It is quite a costly product no matter where you look, even the ‘cheapish’ stuff out there online can be expensive and customers are always a little surprised at the true cost to twin wall flue. There is a reason for its cost, it is very highly engineered to withstand extremely high temperatures whilst emitting very little heat to the outside of the flue. This is normally very important when installing in a conservatory, shed or extension as there is limited space and quite a few combustible materials around. To give an example, single skin flue (vitreous enamel) needs a high distance to combustibles. Single skin flue needs to be 3 X the internal diameter from combustible material. So, if you have a 6” flue it needs to be 450mm away from any combustible materials, such as wooden window frames, skirting or joists behind a Gyproc wall. Twin- wall flue will generally have a 1.5 X the internal dimeter as a distance to combustible so would only have to be 225mm away from combustible materials. In many instances the best quality twin wall flue such as Schiedel ECO ICID or Docherty’s SFL Nova have distances to combustibles as low as 50-60mm. They hold long guarantees and will last the full lifetime of a good quality wood burning or multi-fuel stove in excess of 25+ years. When considering the flue cost, it makes real sense to have a survey carried out, there are so many variables that will affect the cost here. Such as, are there bends required? What type of roof do you have? Where will the stove be positioned? All important questions when considering your twin wall cost! For example if you position the flue where it is less than 2.3m from your house, it will have to go full height! So, if you have a conservatory attached to a double story house and where you want to position the stove is within 2.3m in a direct line to the house, this means that I’m afraid the twin wall will also have to go full height and beyond. That’s why it is best to take the advice from a showroom and to have a survey carried out. Most companies provide this survey service for free and it will mean that you are being advised properly and can discuss all of the options available to you. Fitting cost- I really need to get this one out of the way before I go any further, you may have noticed I didn’t even mention the possibility of you installing yourself. There is reason for this, we have seen some sights in our time from self-installs and (I hate to say it) builders who just have a go. Solid fuel is every bit as dangerous as gas, if not more so in the wrong hands. Let me ask you, would you attempt to install your own gas boiler? (Ok, gas safe engineers sit down). So, why would you think about installing your own wood burning or multi- fuel stove? Don’t do it!! Does the installer have their own showroom? Although this makes their overheads higher, which normally means that you will pay more, it also makes them more accountable and willing to address any issues that you have after the installation. Is the installer HETAS or OFTEC registered? Anyone who is HETAS registered has had to pay thousands of pounds to do so. They are also inspected regularly and have to pass very specific exams that relate to the installation of solid fuel appliances and flue systems. Although being HETAS or OFTEC registered is not a legal requirement in Scotland, most forward-thinking showrooms and installers realise that the well informed consumer will appreciate and prefer to use an installer who is accredited. This also allows the installer to register and sign off the installation and would supersede the need for a building control warrant. Does the installer offer a workmanship warranty? If so, how long? This gives you a real indication to how the installer values his or her own work and for how long they are willing to deal with any workmanship complaints after installation. Installing a wood burning stove in your conservatory, shed or extension could be the best investment you ever make. We hope that this blog has given you a good insight into the cost to install a wood burning or multi-fuel stove in Scotland within a conservatory, shed or extension. If you want to know more before buying a wood burning stove, we will be publishing a wide range of articles to help you make an informed decision. If you feel that I have missed anything or simply want to get in touch to pick our brains for your project, you can contact us here. We provide a FREE SURVEY service across the whole of Scotland where one of our friendly surveyors can give you all of the options available to you with absolutely no pressure!